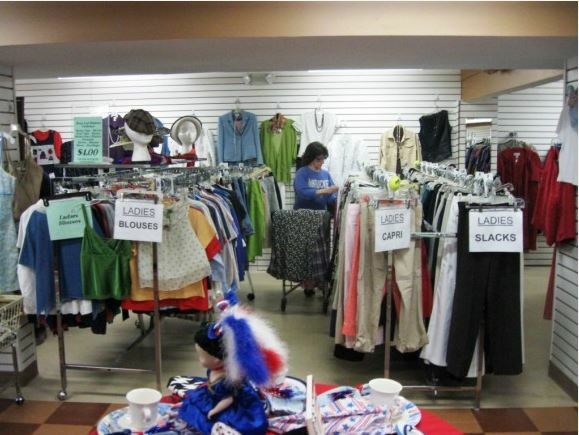 There will be bargains galore at this year’s Insane Insidewalk Sale in Old Saybrook. OLD SAYBROOK — The-e-list.com presents the Seventh Annual Insane Insidewalk Sale Friday, Jan. 29, and Saturday, Jan. 30, at 105 Elm St., in the Old Saybrook Shopping Center, just a few doors down from the Stop & Shop grocery store. The Sale will be open from 9:30 a.m. to 5:30 p.m. on Friday and 9:30 a.m. to 5 p.m. on Saturday. Admission is $5, which covers entry for both days and the first 25 people to enter the Sale on Friday will have their admission fee waived. This Sale enables people to shop the best stores and designers on the shoreline in one location at up to 75 percent off — it’s a pop-up specialty mall, featuring over 20 of the best local boutiques and designers offering deals on women’s clothing, accessories, shoes, jewelry, gifts, home decor, and kid’s clothing for two days only. Ann Lightfoot will be selling her beautiful jewelry at the Insane Insidewalk Sale. The Insane Insidewalk Sale was conceived in 2008 to help local retailers who were stuck with excess inventory after the financial crash and a dismal holiday season. The-e-list rented a vacant storefront and invited 20 boutiques to sell their wares at deep discounts. It was a huge success for both vendors and attendees and now it’s become a well-established tradition that Shoreline shoppers eagerly anticipate.